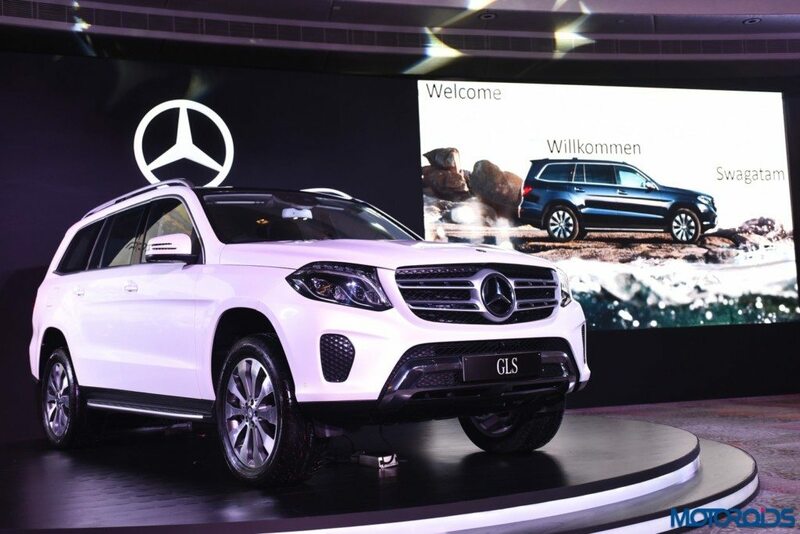 The new GLS 350 d is a powered by a 3-litre, V6 diesel engine with 258 hp of power and 620 Nm of peak torque. Transmission is taken care of by the 9G-TRONIC transmission which boasts great responsiveness and reduced fuel consumption over the earlier 7G-Tronic system. The high efficiency is resultant of a reduced torque converter slip. The GLS 350 d offers solid on and off-road capability. The car comes equipped with the DYNAMIC SELECT controller, offering five driving modes comprising Comfort, Sport, Slippery, Individual and Off-road options. AIRMATIC suspension with enhanced ADS (adaptive dampening system plus) ensures that the road imperfections are snuffed out before they filter through the underpinnings. The GLS is essentially a rebadged, re-styled GL-Class which now looks a bit more urbane but has a rugged SUV character under the skin. The seven seater behemoth, in its newest version gets a new radiator grille with the brand’s Three Pointed Star logo merging with two horizontal louvers. 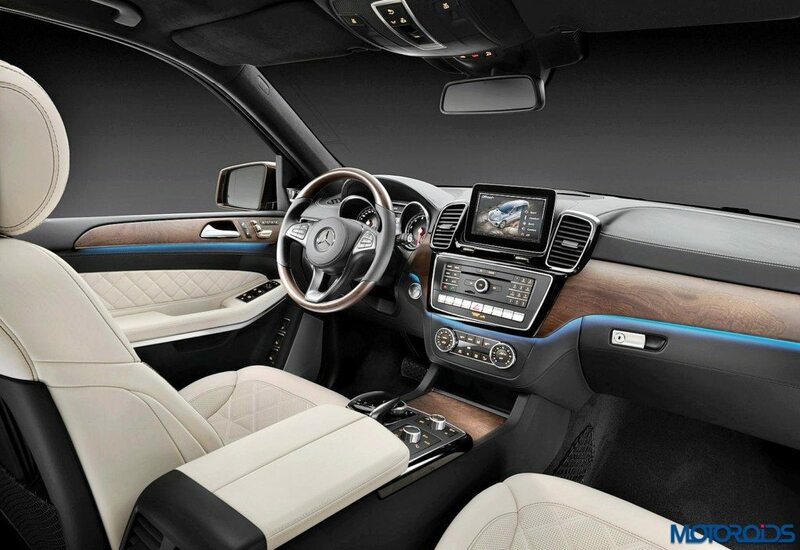 The detail has become the distinctive feature of all SUV models from Mercedes-Benz of late. The headlamp takes cues from the GLE, while the bulged bonnet underlines the brawny character the GLS. The tail-lights have been re-designed, and now feature LED elements with a new layout and the hallmark night design of the brand. Chrome tailpipe trim elements in a trapezoidal shape add an air of style and aggression. For a premium feel, the new SUV gets chrome details on roof rails, underbody protection, beltline trim strip, luggage compartment handle and side sill trim. 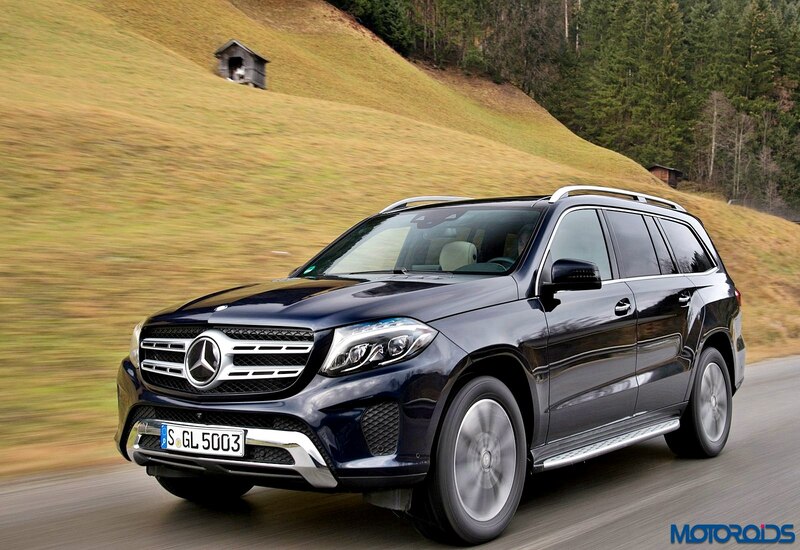 The GLS rides on 20-inch 10-spoke alloy wheels to complement its muscular looks on the sides. Inside the cabin, the GLS gets materials and workmanship to justify the ‘S-Class of SUVs’ tag. The car gets a high-quality elegant interior with a new, heated 3-spoke multifunction nappa leather steering wheel with gearshift paddles. 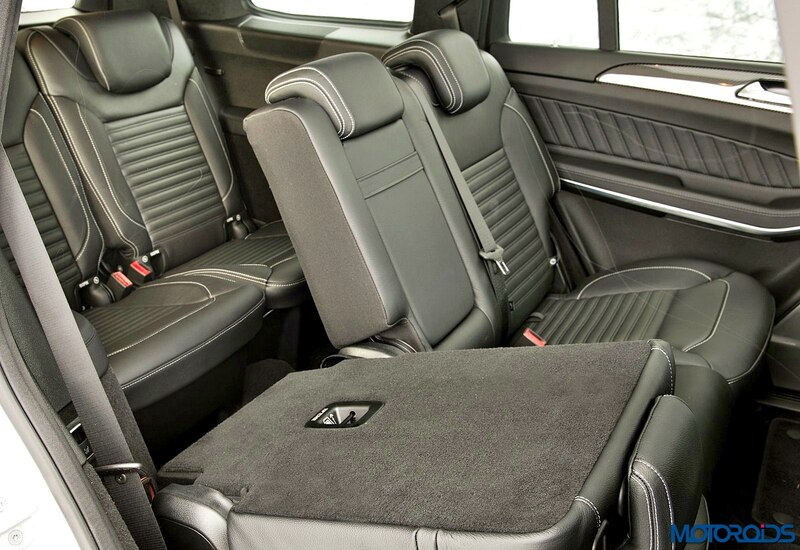 The multifunction unit gets 12 keys and an airbag cover in nappa leather. The details on the instruments have been modified too, with a redesigned instrument panel comprising a semi-integrated colour Media Display. The latter offers an even better experience of the vehicle functions thanks to photo-realistic displays of images and graphics. A first ever feature on the GLS is the Apple CarPlay allowing options to make calls, listen to music, send and receive text messages and accessing third-party apps. In terms of storage space, the GLS provides a volume of 680 to 2300 litres along with comfortable seating for seven adults. The massive panoramic sunroof in the car enhances the feel of space and airiness further. The GLS gets ARTICO man-made leather upholstery in espresso brown and ginger beige / espresso brown shades. Buyers can choose from light aluminum trim with longitudinal grain or Open-pore brown ash wood trim. 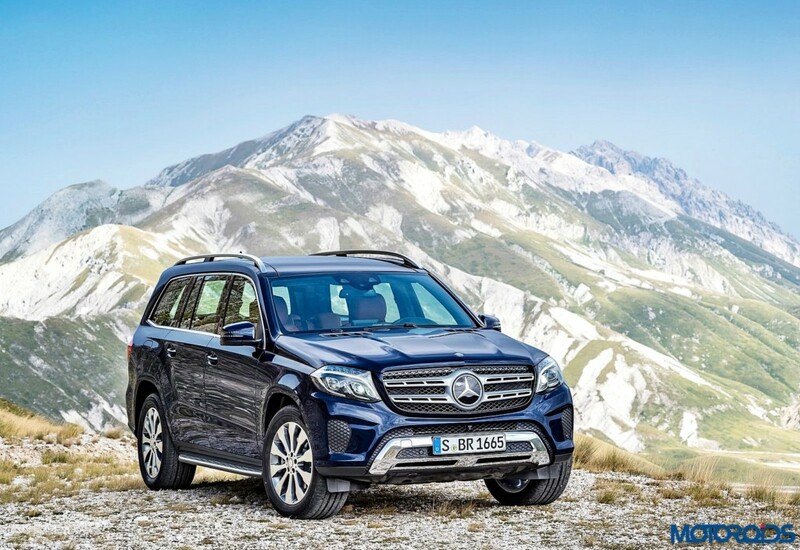 Like all Mercedes-Benz cars, the GLS comes loaded with a host of active and passive safety features. The car comes equipped with the PRE-SAFE system, BAS Brake Assist, electronic all-wheel drive traction system 4ETS, ESP with Curve Dynamic Assist and cruise control as standard. Other occupant protection systems include electronic crumple zones, an intelligent body design, 9 airbags and three-point safety belts on all seven seats.